in Acidalia Planitia, Mars, Icarus, 208(2),pp. 636-657, 2010. Since the days of Viking exploration, there has been speculation that mud volcanism occurs on Mars. Candidate features populate the Northern Plains (see review in the paper referenced in the figure caption to the left). On Earth, mud volcanism is triggered by tectonic compression or generation of hydrocarbons (esp. methane, CH4). Neither process appears to be prominent on Mars. Mechanisms that have been proposed include: (1) dewatering of debris flows; impact-related, seismic shaking causing liquefaction; sedimentation with compaction and degassing; and sublimation of CH4 or CO2 clathrates. The mounds in Acidalia are on a very large scale, and Oehler and Allen favor an explanation that includes the basin's unique geologic setting. Acidalia Planitia sits where large quantities of sediments were deposited from outflow channels. It was a "depocenter" for accumulation of mud and fluids from this sedimentation. The mounds may be attributable to large overpressure developed in response to the rapid outflow deposition, "perhaps aided by regional triggers for fluid expulsion related to events such as tectonic or hydrothermal pulses, destabilization of clathrates, or sublimation of a frozen body of water." They could account for a significant release of gas, and the process may have created long-lived conduits for upwelling groundwaters. In a recent article in Earth and Planetary Science Letters (v. 304, pp. 511-519, 2011), Pondrelli et al. reported on possible mud volcanoes within Firsoff impact crater. The mounts are on the crater floor, and appear as isolated or composit cones 100-500 m in diameter, and tens of meters high. More than 1/3 have subcircular depressions on their apices, 5-39 m deep, interpreted as vents. The mounds themselves are meter-sized boulders embedded in a finer-grained matrix, a mud breccia. The mounds are located on or near faults and are aligned with fractures, suggesting larger pathways for fluid migration along faults related to the impact that produced the crater. The authors speculate that methane was involved in the process of forming the mounds. Sieverts, millisieverts, and grays--What's up with these radiation units at Fukushima? Sometimes I wonder why anyone needs to add any more words to the blogosphere because it does appear that everything that's to be written is already written! In this case, Wiki once again has the definitions of radiation units, but I thought that I'd spin it my way to try to make it intuitive. We are exposed to radiation in a number of different forms, and in a number of different ways. We are bombarded by electrons, positrons, photons (gamma and X-rays), neutrons of varying energies, alpha particles, and fission fragments. For example, we get dental X-rays, and mammograms, CT scans. We are exposed to naturally produced radon, and get radiated when we fly in airplanes. Some of us live near nuclear reactor power stations or, in my case, a coal power station (coal is rich in thorium and uranium). Did you know that sleeping next to a human for 8 hours every night actually gives you a radiation dose? Good grief--how have I lived this long without knowing that? Turns out that our bodies have naturally radioactive potassium! The source of this, and other tidbits (Brazil nuts apparently are the world's most radioactive food due to high radium concentrations!) is PBS. Radiation is energy, and the amount of radiation (measured in joules) absorbed per kilogram of material is defined in units of "gray." The amount of radiation absorbed per kilogram of human flesh is measured in units of sieverts (Sv). It is the amount of "grays" multiplied by a weighting factor which takes account of the radiation type, and the body type absorbing it (skin, bladder, bone marrow, etc.) Thus, the sievert is tied to a biological response rather than purely physical dosage. The most commonly encountered multiple of a sievert is the millisievert (mSv), 1/1000 of a sievert. Dosages can be single, hourly, yearly, or maximum. Typical single dosages are: dental radiography (0.005 mSv), mammogram (3 mSv), or chest CT scan (6-19 mSv). Typical average hourly doses are: 0.34 microsieverts/hour for Americans and one-half of this value for Australians. Typical yearly dosages are: 0.0003 mSv/year living next to a coal station; 0.24 mSv/year from cosmic radiation from the sky; 0.28mSv/year from the ground; 0.40 mSv/year from natural radiation in our human bodies; 0.85 mSv/year from the radiation produced by the granite in the U.S. Capitol building. The PBS site mentioned above says that the building is so radioactive due to the uranium in its granite walls, it could never be licensed as a nuclear power reactor site! 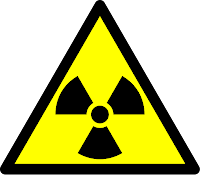 Symptoms of acute radiation, within one day, are: 0.25-1 Sv, nausea, loss of appetite, damage to bone marrow, lymph nodes and spleen. 1-3 Sv, mild to severe nausea, loss of appetite, damage to the above organs with recovery probable but not assured. 3-6 Sv, severe nausea, loss of appetite, hemorrhaging, infection, diarrhea, peeling of skin, sterility, death if untreated. 6-10 Sv, above symptoms plus central nervous system impairment, death expected. Above 10 Sv, incapacitation and death. Although reports from the Fukushima emergency have been conflicting, the highest hourly rate may have been 8217 mSv/hour. The normal recommended average limit for workers in nuclear plants is 20 mSv/year, but this has been raised to 250 mSv/year at Fukushima during this crisis. The report today, if true, is that water found in a tunnel at Fukushima Daiichi is emitting more than 1,000 mSv/hour. I don't have specifics on the allowable levels of radiation from coolants inside a nuclear reactor, but referring to the typical average hourly doses that americans receive (0.34 microsieverts/hour), you can see a basis for the statement that this is at least 100,000 times normal levels. The NPR staff has produced a very nice article summarizing the history of the word "tsunami" both in Japan and in the western world. Japanese officials have kept detailed records of tsunamis, the first dating to December 29, 684, in Nankaido. It was related to an earthquake with estimated magnitude 8.4. 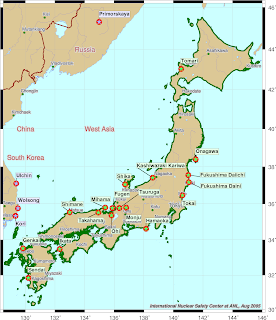 (Records of the tsunamis in Japan are posted by NOAA here.) 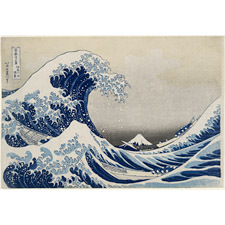 Our word tsunami originates from two words tsu+nami, meaning "harbor wave." Strictly, the word means a "tidal wave," driven by the alignment of the earth, sun and moon. 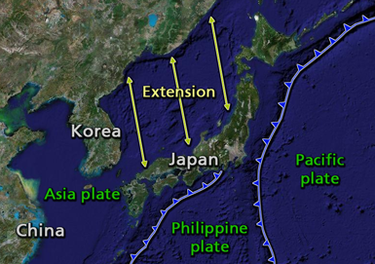 Here's a wiki about "tsunami etymology," including the word for it in a few other languages. A tsunami-like wave was described by the Greek historian Thucydides (426 B.C. ), and by the Roman historian Ammianus Marcellinus when he described the sequence of events that destroyed Alexandria in 365 A.D., but as far as I can tell they did not appropriate a special word for the phenomenon in either Greek or Latin. The word "tsunami" was brought into English use about 100 years ago when an earthquake on June 15, 1896 caused a tsunami to hit Sanriku, very near the site of the current devastation. There was a report in National Geographic of this event (erroneously) introducing the Japanese term in the context of an earthquake-generated, rather than a tidal, wave. Tsunami is also both the singular and plural form of the word in Japanese, but in English we generally append the "s" to make it plural. "Whirlpool" is a general term for any swirling body of water. Whirlpools on many scales are common in nature, and they are easily seen in almost any flowing body of water. In rafting on the Colorado River through the Grand Canyon, it is not uncommon to have one end of a 16' rubber raft sucked down 6" or more by little whirlpools in the river. According to Wiki on Whirlpools, the 5 strongest whirlpools in the world are in Norway (2), Maine (USA), Japan and Scotland, and these have speeds that reach up to 37 km/hour (23 mph). 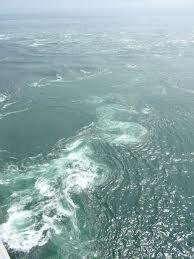 The natural whirlpools in Japan occur in the Naruto Strait, a channel between two smal islands, Tokushima and Awiji. The straight is less than 1 mile in width, and connects the Pacific Ocean and the Inland Sea, a body of water that separates Honshu and Shikoku. Tides here have a range up to 5.6 feet, creating a difference in water level of nearly 5' between the Inland Sea and the Pacific. Because the strait is so narrow, water rushes through it at 8-9 mph, four times per day, and during spring tides the speed can reach 12 mph. 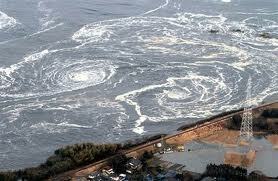 At that time, whirlpools up to 66' in diameter can occur. The whirlpool in your bathtub is not a good analog for most natural whirlpools because it is caused by the exodus of water down your drain. However, there was one similar whirlpool in a lake in Louisiana in 1980 when a drilling rig broke through the roof of an underground salt mine. The lake drained, just like bathwater, down through the salt mine and a whirlpool developed. Although some boats and semi trailers were caught up in it, no lives were lost. A reminder: I have continuously updated links to videos on the March 11 post and will continue to do so. A fascinating poster presentation of tsunamis and their whirlpools in art and mythology by R.S. Ludwin and A. Colorado can be found here. Whirlpools occurred in the 2004 Indian Ocean tsunami, in the Lisbon earthquake of 1755, Papua New Guinea, 1957 and 1998, Manzanillo Mexico, 1995, and Puerto Rico 1867. They are prominently mentioned in mythology, including the Haida myths of the Pacific Northwest. The poster and other information from a workshop in 2005 can be found here. In addition to observations and reports of vortices in myth and history, their existence has been inferred from whirlpools and potholes formed during paleo-tsunamis. Whirlpools can reach up to 70 m in diameter and often have a central plug protruding up 2-3 m from the floor of the pit at the center of the vortex. These features are prominent in New South Wales, Australia. There are often potholes within the vortices, indicating nested vortices. Other features indicate different types of vortices: comma marks, "muschelbruche", V-shaped grooves and flutes. Features are sculpted into bedrock during tsunamis by a number of different flow phenomena. Three large-scale processes are Mach-Stem formation, jetting, and flow reattachment. Mach-Stem formation is a phenomenon that develops when waves travel at an angle to a cliff--at the (traveling) point where the wave contacts the shore, the amplitude is amplified 2-4 times because of oblique reflections. This phenomenon is one reason that on-lookers are sometimes swept away by an unexpectedly high pulse of water. Jetting is a phenomenon that occurs when a tsunami approaches a rocky promontory--the geometry forces vortices and the velocity increases due to momentum conservation. Velocities in excess of 10 m/s are easily generated by this process, and plucking of rocks then occurs. Flow separation, the third phenomenon, occurs if the tsunami runs up a slope and encounters a relatively flat top. It can have so much momentum that it detaches from the slope (goes airborne). The forces on the rock where it lands (reattaches) can be enormous, hydraulic jumps can be formed, and erosion is dramatic. An excellent book on tsunamis, and the source of this discussion is "Tsunami: The Underrated Hazard" by Edward Bryant, Cambridge University Press, 2001. I have added new videos to the video post as I have discovered them, and updated other posts below. There is now a fairly large Wiki site on the "2011 Tohoku earthquake" here. March 15: 4:15 p.m. CDT: Here's a fairly well referenced article from the Huffington Post. 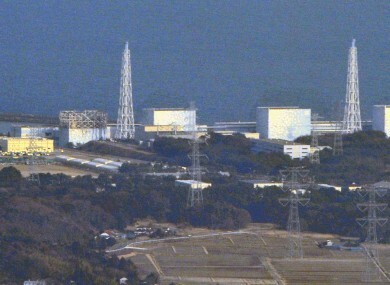 The three nuclear reactors at Fukushima Dalichi. #1, damaged with the roof blown off is on the left. #3 is the white block toward the right. Photo by Masaru Nishimoto/AP, from here. Note: 3/16, 6:00 p.m. CDT--It has never been my intention to have this be an up-to-date news site, and in view of the very rapidly developing, and uncertain, situation with the reactors, I will no longer update news about the reactors. Note: 3/16, 1:00 p.m. CDT--It is very difficult to know what statements are accurate regarding the nuclear power plants. Today the NYTimes is reporting that the containment vessels of both the #2 and #3 reactors have cracked. The fuel rods in the water pool of #4 reactor are still apparently overheating. U.S. Energy Secretary Chu has said (according to the Times) "We think there is a partial meltdown" at the plant, but is also quoted as saying that he would not want to speculate about what is happening. The Director of the International Atomic Energy Agency is going to make a 1-day trip to Japan, "as soon as possible, hopefully tomorrow (Thursday)" to get the latest on the situation and see how the IAEA can help. The US has said that the military will send an unmanned Global Hawk high-altitude reconnaissance plane to take photos and infrared images of the power plant with hopes that the images could help workers figure out what is going on. Note: 3/15, 10:00 CDT--It is important to emphasize that although there are reactor problems, the situation with the Fukushima Dalichi reactors is in no way comparable to Chernoybl. It is being highly monitored, efficiently and well managed by the government with the evacuations and distribution of pills to prevent thyroid damage, and information is being distributed as rapidly and freely as possible. Our prayers and thoughts are with the people of Japan as this situation continues, with hopes that it will soon resolve and that recovery can begin. Note: 3/14, 8:40 a.m. CDT--I have added more videos to the blog a couple of days ago where I'm storing the video links. The last one on the page (labelled 'opening seconds of this one') is incredible. It brings home the fact that life can change irreversibly in seconds. Update 3/15: 3:30 a.m. #4 reactor has had a fire. It was not in operation when the tsunami struck, but had spent fuel. It is reported to have released hydrogen with radioactive materials. People within 20 km radius were ordered to evacuate, and people between 20-30 km were warned to stay outdoors. At this time, the radiation is reported to be down. The spent fuel rods were removed from the reactors and probably in a pool of water to keep them cool (the situation at many nuclear plants worldwide because of a lack of permanent disposal sites). It is speculated that the water in the pools was drained, allowing the rods to overheat. At the moment, winds are blowing the releases out over the Pacific. The situation at the #2 reactor appears to still be dangerous. 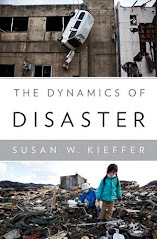 Although this is a fluid dynamics blog, the nuclear reactor problem associated with the earthquake and tsunami is so important that I thought I'd summarize the setting here. 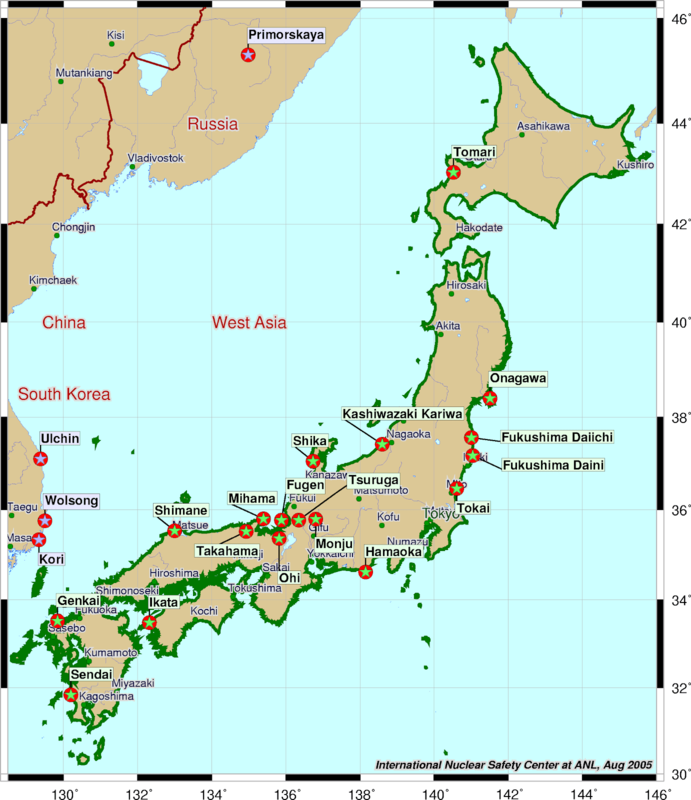 A map of all of the nuclear reactors in Japan is on a previous post. 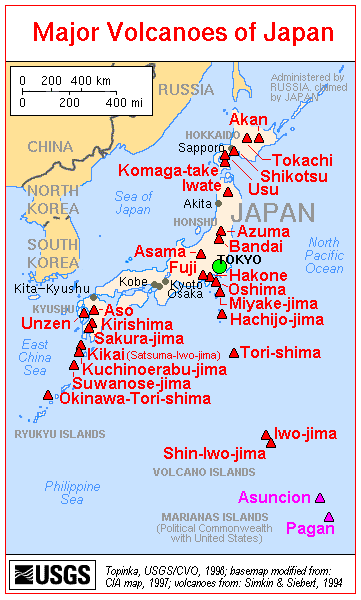 There are four reactor sites on the northeast coast of Honshu. From north to south, they are Onagawa, Fukushima Dalichi, Fukashima Dain, and Tokai. Onagawa has three reactors (1,2,3); Fukushima Dalichi has six (1,2,3,4,5,6), Fukushima Daini has four (1,2,3,4), and Tokai has two active (1,2) and one decommissioned. Reports yesterday (March 13) that there were increased levels of radiation at Onagawa were false and the reactors there are functioning properly. The main problems have been at Fukushima Dalichi. The cooling systems number 1 and 3 reactors were damaged by the earthquake. An explosion on Saturday (3/12) blew the roof off of the No. 1 reactor here, and it has now been flooded with seawater to keep the fuel rods cool. The flooding means that they decided that the reactor cannot be salvaged for future use. On Sunday, the officials announced that the cooling system at #3 had failed, forcing them to release radioactive vapor, including hydrogen. An explosion has now been reported in #3, but this may not be an accurate report. Update: as of 11:15 CDT, there has been an explosion at reactor #3. Video here. It now appears that water levels inside #2 may be gone, with the risk of a meltdown. The Washington Post is using terminology Fukushima I and II, and says that "pressure has built up in seven of the plants' 10 reactor containment vessels". I can't correlate this with the more common terminology unless they are referring to Fukushima Dalichi and Fukushima Daini which, together, do have 10 reactors. Excellent interactive tutorial from the New York Times is here. Note: This page view is only for the purpose of providing maps to help with locations. In the GeologyInMotion.com blog, I try to stay away from political positions. This may not always be possible in the links that I provide, but I do my best to provide "the facts, and only the facts!!!" I am updating the previous posts on the events rather than starting new posts continuously. Unfortunately it's not easy to control the layout of pictures in this blog site. It's "cool" that I can update the posts, but 'not so cool' that these updates don't get widely distributed. 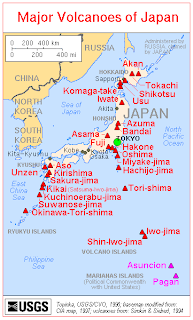 Note: Shinmoedake volcano, which became active this year after a 50 year repose is not on Honshu, but is on Kyushu, south of Honshu. It is part of the Kirishima cluster (Kirishima is shown on the map). 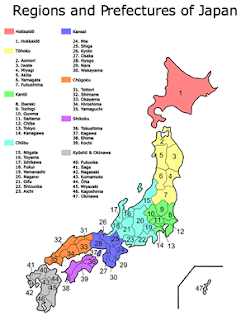 From here, a site with a number of interesting maps of Japan. The people of Japan are in our hearts and minds as they struggle through and recover from this tragic event. THIS IS THE ONLY POST ON THIS BLOG THAT HAS BEEN CONSTANTLY UPDATED WITH NEW MATERIAL. I AM USING IT TO STORE AND ORGANIZE VIDEOS IN ORDER TO LOOK AT THE FLUID DYNAMICS. I HOPE THAT OTHERS WILL FIND IT USEFUL! DISCLAIMER: I CANNOT BE RESPONSIBLE FOR ADS THAT APPEAR ON YOUTUBE VIDEOS, COMMENTS THAT MAY BE ATTACHED TO THE VIDEOS AND ARE SOMETIMES EXTREMELY OFFENSIVE, NOR FOR CONTENT OF ARTICLES THAT MAY LINK ON TO OTHER SUBJECTS, SUCH AS NEWSCASTS. is to establish a base for fluid dynamics analysis, not documentation of the tragedy for documentation sake. Chiba, a 5:24 video. Footage is not continuous. Opening shots are of the tsunami. At about 1:30 it switches to footage of people inside buildings during the earthquake. Nuclear plant steam explosion at reactor #1: Watch carefully and you'll see an atmospheric shock wave created by the blast. 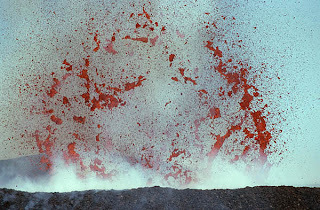 this is typical of steam blasts, often observed in phreatic or phreatomagmatic volcanic eruptions. This is 47 seconds long. Sketches and explanation from the Washington Post regarding the nuclear reactor events from the Washington Post, March 15. A CNN discussion with Malcolm Grimston saying that "This is no Cherynobl." On April 9, a video was released showing a few seconds of when a wave estimated to be 46-48 feet high crashed into the Fukushima nuclear plant. Unfortunately, there are only a few seconds of footage on this. This video is quite highly edited and unfortunately isn't useful for a hydrograph, but during the first minute it shows multiple waves of the tsunami approaching shore and the harbor. There are very good examples of trailing, higher waves traveling faster and overtaking leading waves. 5:00. 2:12 Tsunami comes up a wide channel. Iwaki is about 5 miles inland, west of the ocean. There are at least two channelized rivers in the city, not sure which one this video is on. A street level video at Kesennuma Harbor.A white store with blue trim is very distinctive. Video is about 5:15 minutes long. At about 2:45 waves develop and white store is inundated up to top of first floor. At about 3:30 minutes houses begin to be carried away and intensity of the flood is increasing. Water is still rising on the white store. Close to 5 minutes, a large building with a distinctive red roof is carried away. Here is a second video from Kesennuma, shorter, but shows the same white store with blue trim; this video is 1:38 long. A site with two "must-see" videos is here. The first video on this site is 5:44 and shows the tsunami coming into a harbor from the right, and washing around a warehouse, moving down two streets, and taking out a block-long building that was originally perpendicular to the flow. More of the same, but for some reason, longer, 6:22. Kamaishi, a view of the tsunami coming in and pouring down through one street. 2:15 long. Pouring in and around an apartment building. A tongue and whitewater rapids style flow. If this video is all Kamaishi, it locates the white-crested wave approaching shore that has been visible in other videos where the locale is not identified. However, it is difficult to tell where the various pieces of footage have come from. For comparison, this video is titled "The after effect of Tsunami" , has a 1.2 m tsunami in Kesennuma Bay generated by the 2010 Chile earthquake. Very interesting burbling of water up through cracks in a sidewalk or street. This video shows where the blue containers visible in some videos originated. 1:49. Tsunami damage in Miyako (audio is in Japanese). This is a CNN video on March 12 showing the devastation of Miyako. It is about 30 seconds long. Note 04/12/11: We think that this video is NOT Miyako, but is Kamaishi based on the blue-green crane in the background. Needs further checking: This video is shows the similarity of the tsunami in Miyako to river waves, but unfortunately has breaks so that it isn't possible to get a hydrograph from it. 2:14. This is a video from Russia Today of water, ships and cars spilling over a seawall (from left to right after the introductory footage) 1:59 long. Ships topple onto street that is now flooded and get stuck jammed under a freeway. Does this connect with the 9:03 video above? Breaking waves of tsunami and wave in Minami Sankriku (Note on 3/29/11: This was a CNN video of Minami Sankriku, it is not listed as not available). This is a YouTube video of a news broadcast using the same video as well as several other short views, 2:37 long. The Guardian, has footage from Minamisankriku, Miyako, Kamaishi, and Kesennuma that can be helpful in identifying some of the cities that are unidentified in other footage. A 5:29 video. This is labelled Nakatsugawa City, but the discussion seems to put it in Minamisankriku. The ending of this video shows people still on low ground as the tsunami arrives, and it is not clear that they survive. Again, my thoughts and prayers for the Japanese people in this tragedy. This 1:41 video shows incredible footage of the first tsunami waves coming into a bay and onto shore. Amazing that the photographers got out alive because they were apparently right at shore level when they shot this video. Natori was one of the cities closest to the earthquake epicenter, and was completely destroyed. This is a 0:16 second simulation of the tsunami there. See the 12:58 video under "The tsunami at sea" below; there is a caption that says that the big wave approaching shore is at the mouth of the Natori river, which flows near Sendai City." The second video on the "must-see" site (referred to in the Kesennuma section) is in the smaller box at the bottom of that post. It is a 9:03 minute/seconds video of the tsunami, here. The comments by viewers say that this was recorded at Aomori Prefecture. This one starts with 2 minutes of footage of the tsunami approaching the shore. The photographer is very close to the ocean and focuses on a marina and boats. Water ebbs and flows in and out of the marina. About 5:30 good footage of a whirlpool that develops between incoming and outgoing water. Another wave of the tsunami arrives at about 6' 30". The water never gets more than a few meters depth until about 8 minutes when the major event appears to start. This may be one of the best videos for getting a hydrograph of the pulses of the tsunami. Even though the boats are tossed around in the marina, they are not transported inland until, possibly, the end of the video. At the end of this video water is pouring over ledges, and I think that I've seen another video somewhere that picks up on this location (black water flowing over ledges), but I don't know where I saw that. Here is a BBC video about the sea wall at Oirase, and how it saved the town. This site that has a collection of videos with the cities labelled. This video from Otsuchi is by Brian Barnes and is nearlycontinuous film starting with some earthquake footage, and then as they flee in a car after the earthquake. Note the footage when they say "must be a broken water main." This comment is in several videos and indicates a good likelihood of liquefaction, not a broken water main. Starting at 4:00 minutes, it is a view of the harbor from a hill top as the tsunami enters the harbor. At about 6:00 he switches from viewing the harbor to looking at the city, which has already started flooding. This site has a lot of added video from Barnes. *NEW on 4/27/11: A 4:00 continuous video by Sea Shepherd's Cove Guardians of the arrival and evolution of the tsunami in Otsuchi. Excellent footage showing the evolution of a big whirlpool about half way through. At about 3:50 there is a closeup of a stranded ship quite high above the wavers, and it isn't clear from the video how it got there. Note: In these videos, there are some obvious greenhouses, which are useful for getting a scale. Four greenhouses cover 56 meters as best we can estimate. This is the first of a two part series on the tsunami in Sendai (15:00), and this is the second part (12:58). The second video shows a very interesting phenomenon with a part of the tsunami that has broken traveling ahead of the main wave. Tsunami with dark lobes engulfing Sendai and the greenhouses, viewed from helicopter. 1:00 long. A sequence of videos taken from a helicopter showing the flow lobes and greenhouses 35 seconds long. Illustrates the "debris flow" character of the flow inland. Not as good as the 1:00 above. Tsunami flowing right to left over freeway; buildings on fire, looks like it could be Sendai but not sure. Mostly in farmland. Here is an excellent USGS site with photos of Sendi in 2010 during a tsunami field conference. There is also some information about the 2011 devastation. NEW 4/29/11 New video released by the Japanese Coast guard today shows tsunami in Sendai airport and around Sendai. NEW 09/04/11 I just found this 5:30 video of the debris-laden tsunami around Sendai. . At about 4:00 it shows dewatering creating a fairly clear flow running out ahead of the heavily laden debris flow. It is not easy to watch. Train cars in Sinchi; This is a CNN video taken near a train yard showing trains thrown around like match sticks. Mud may be indicative of liquefaction. Narrator says that the waves were up to 7.3 m high. About 1 minute long. This is not tsunami video, but the most remarkable video of ground motion during the earthquake and liquefaction due to the earthquake. This phenomenon has never before been document like this. Eyewitness to cracks opening and closing, and liquefaction. A video of the tsunami at sea taken from a Coast Guard cutter--35 seconds long. It shows two waves--one at 15 seconds, one at 25 seconds. It looks as if there may be more on the horizon. Here is a longer version with one wave at 35", another at 49 seconds. This is a ground level view of the tsunami coming on-shore toward the camera. There is excellent helicopter footage of the tsunami approaching Sendai. At 3:50 the biggest wave overtakes the receeding earlier waves. The caption to this video says that the wave is approaching the mouth of the Natori River, which flows near Sendai city. time=12:58. This site claims that the large whirlpool with a ship near its center is at Oarai City, Ibaraki Prefecture. It says that the vortex lasted several hours and was formed as the waters receded. There is a very interesting video at the bottom showing the damage in a number of places that I had not seen anywhere else. The opening seconds of this one shows cars being thrown over a wall like matchsticks. 1:19 long; Not sure that all of the scenes in this one are in the same town. This video shows a number of the towns above, and is set to beautiful music. As one viewer commented, it is a requium. NEW April 28, 2011. This is a Youtube site that has 37 videos. NEW 080911. A few new videos here. The official NOAA event page. 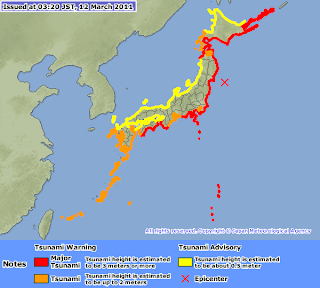 March 11, shows the tsunami propagating across the Pacific according to their models. The NOAA forecast video of the original tsunami is similar. Here is a source of PUBLIC DOMAIN images of the tsunami from the U.S. Navy. Here is the USGS photo gallery. Here is a teaching-resource site from Arizona State University. You may have to scroll down to find it, Issue 10. Here is a link to a 360 view of damages in Iwate Prefecture, Google Earth. Spectacular NYTimes series of before and after photos (use the slider left and right). March 15. The Boston Globe also has a site called "Big Picture" with photographs well-labelled by town; useful for trying to identify locations of videos. I NEED TO GO BACK TO THIS SITE AND GET MORE VIDEOS. This SEO site has a number of videos with identification of the cities where they were taken. 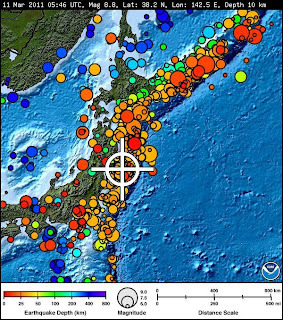 A shallow earthquake, with a preliminary magnitude of 8.9 has hit off the coast of Japan. Friends in Japan, our thoughts are with you. 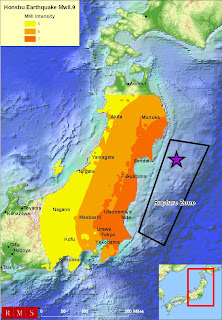 The earthquake was offshore, about 230 miles from Tokyo. 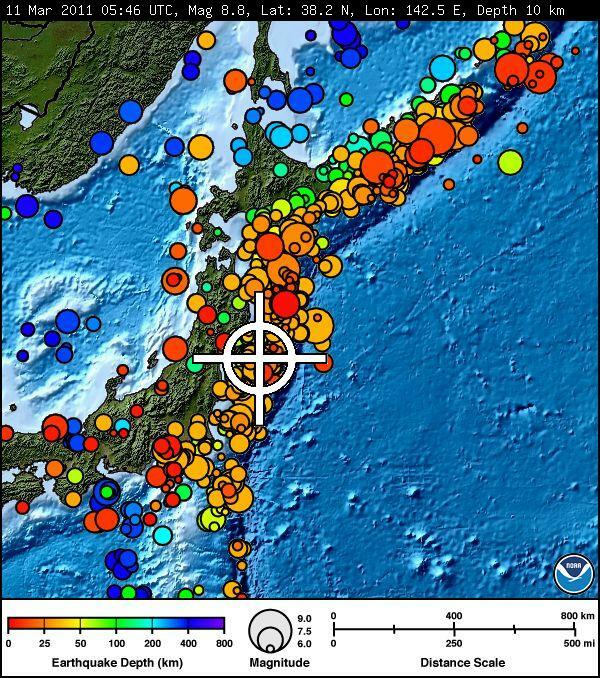 This is the largest earthquake to hit Japan in recorded history, and larger than expected by geologists. Susan Hough of the USGS said that it was bigger than the 8-8.5 that head been expected for the area. A tsunami warning is posted for around the Pacific, with some estimates of waves 5 meters (17 feet) in height. There are four nuclear power plants in the vicinity of the maximum damage and people had been evacuated as a precaution because there were some troubles cooling one reactor. It appeared that all four had been safely shut down, but it has proven difficult or impossible to cool two of them. There is confusing information about whether or not there have been small releases of nuclear materials. Here is a March 11 (evening, EDT) New York Times article on the situation with two of the reactors. Cnn.com is carrying live news, and it's repetitious to repeat it here. Aftershocks greater than M6 are frequent and at least 2of magnitude 7.1 have been recorded. A rule of thumb is that aftershocks can be as large as the earthquake minus one magnitude (8.91=7.9), so more magnitude 7 quakes are likely. The world stock markets are dropping because Tokyo, a financial hub of the world, is badly hit. The best documentation that I have ever seen of the size and power of a tsunami is this video from CNN.com of the events in Sendai, Nitori City and several other places. The opening shot of white foam-crested tsunami waves approaching the shore is stunning. Initially, relatively clear water moves ships around in a slow-motion ballet, and then as it picks up more cars and boats, they are driven chaotically driven inland, under bridges that still carry cars and people over the chaotic waters below. Ugly lobes of black water and mud carry mats of cars, buildings, and crushed buildings across highways and farm fields, sweeping all in its path away. Burning buildings float on the mat as if unaware of the watery conveyor belt. Frothy white water covers fields and airplane runways. In this video, cars from a manufacturing plant (?) have caught fire, an eerie scene that looks like the Boy Scouts gathered cars for kindling instead of wood. These videos have several parts separated by commercials, and may change with time as CNN edits their footage. Here an oil refinery or chemical plant has caught fire. This is a video that shows a longer clip of the ships from the port of Kamaishi being swept under a bridge. It is an especially interesting video because at the beginning the tsunami is not very deep (a few meters?) and there is an obvious hydraulic jump (white wave) on the left side of the bridge where water pours over a lip. Within seconds, the water level rises and the hydraulic jump disappears under the bridge, and then emerges as white water and waves on the right side of the bridge. Amazing that people remain standing and driving on the bridge! Here's a different view of the tsunami advancing. Note the lobate fronts and the moving burning buildings. This video of the tsunami advancing onto Rikuzentataka gives a new meaning to the word inexorable. Again, this video may be linked to some others in a sequence, so there may be two or three scenes. With some redundancy, there is a good helicopter shot of different parts of the advancing tsunami front here, as well as shots that show the big whirlpool circulation. The Big Picture, a Boston.com site devoted to telling news stories in photographs, has a collection of striking pictures is here. Picture #10 is especially interesting if anyone can help tell why such a large whirlpool formed! #36 is an amazing shot of a fault running right down the center stripe of a highway. This NYTimes site has good footage of boats being swept away at Brookings, Oregon, of the tsunami coming onshore at Crescent City, California (a place known for tsunami hazards). It had a video of the tsunami engulfing the nuclear power plant that is having problems in Japan, but now "it has been removed by the user." Wonder what that means? Google runs a Google Crisis Response page that seems to have good and reliable technical and logistic information. 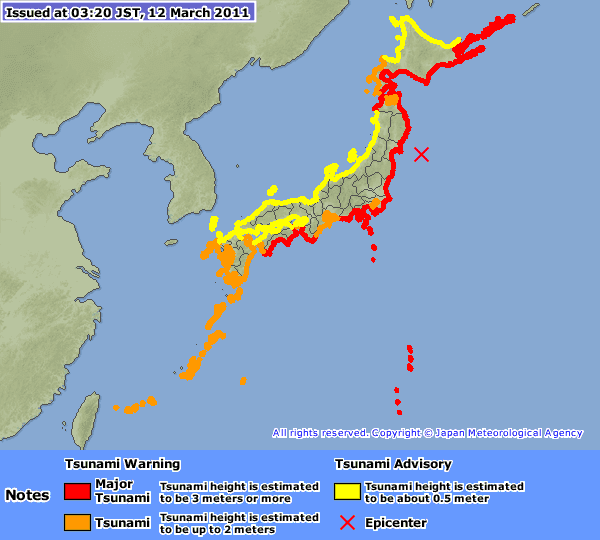 Other information is available at NOAA's West Coast and Alaska Tsunami Warning Center. Vog, the noxious mixture of sulfur dioxide and sulfate aerosols that creates a "volcanic fog"=vog, is being emitted at increased levels from the fissure eruption that has developed in Hawaii. Vog can cause headaches, breathing problems, vulnerability to respiratory ailments, irritated eyes and throat. So far, the northeast tradewinds are keeping the gas from populated areas, but if they diminish or change direction the vog could move toward populated areas. The March 10 report from HVO says that potentially-lethal concentrations of sulfur dioxide gas are present within 1 km downwind of vent areas. Scientists at the University of Hawaii developed the concept of a Vog Measurement and Prediction (VMAP). If you click on the picture to the left, it should start a GIF animation. If it doesn't work, go to the site referenced in the caption. In 2008 the Halemaumau vent began emitting elevated sulfur dioxide gases, and the idea arose of trying to do vog forecasting. Steven Businger and Roy Huff of U.H. developed some preliminary concepts and fortunately, Stimulus Act funding to HVO allowed development of a feasibility study. Preliminary products are on the WWW site referenced in the figure caption. 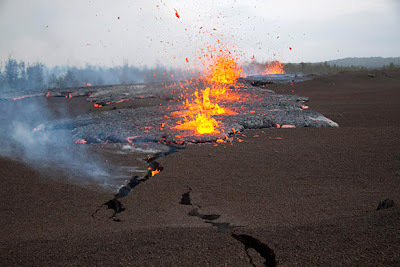 The east rift eruption has been called the March 5 Kamoamoa fissure eruption. The activity diminished through the 9th, and paused at 10:30 p.m. The sulfur dioxide emission rate was estimated at 5,000 tonnes/day from the east rift sources. At the summit of Kilauea, the lava lake remains deep below the rim of the vent (220 m or 720 feet) in Halemaumau. The sulfur dioxide emission rate from this eruption was 700 tonnes/day on March 9. Detailed information is available on the USGS Hawaiian Volcano Observatory WWW site. A poignant day for those of us "kids" who grew up in the post-Sputnik era and dreamed of flying to the Moon and beyond. Great job, astronauts and engineers! Thank you. Coincident with the collapse in Pu u Oo, an earthquake swarm began along Kilauea's middle east rift zone, and tiltmeters showed deflation of this area as well. A pre-existing crater, Napau, then started to erupt, and the eruption continues between Pu u Oo and Napau. Simultaneously, the lava lake level within Halemaumau at the summit of Kilauea is also dropping. The floor of Pu u Oo has dropped at least 115 meters (377 feet). The volcanoes of Hawaii are rarely dangerous in the style of Mount St. Helens, but they can be. One sequence of events that can cause an explosive eruption is exactly what is going on now: magma disappears from the summit or craters down into the underground reservoirs, or it moves out of one crater to another, leaving exposed rocks. USGS reference here. If there is groundwater nearby, it can drain into the emptied crater/conduit creating a violent steam-driven eruption. On February 21, 1924 lava in Halemaumau drained, and the floor sank to 115 m below the rim (ironically, the same number as above; this is not a typo!). Two months later, on April 29, the floor began to sink again, and by May 7, the floor was about 210 m below the rim. As is being observed today, this withdrawal of magma allows heavy rockfalls from the walls of Halemaumau. 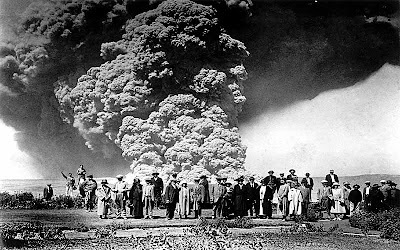 Groundwater flowed into the still-hot conduit, the steam pressure built up, and on the night of May 10-11, 1924, rocks and dust were blown out of the crater. This activity peaked on May 18, and occurred episodically until May 27. While not exactly similar (because Puu Oo is out on the east rift zone), the withdrawal of magma from both the summit and Puu Oo suggests that there is a potential for an explosive eruption over the next few months. Footprints in muddy ash from the 1790 eruption. Legend has it that footprints on the southwestern side of Kilauea are those of warriors caught in one of these violent eruptions. Don Swanson and colleagues have pieced together a picture of the event (2008 AGU abstract). A group of people, deduced to be women and children from the size of the footprints, were apparently out in the southwest area searching for obsidian for toolmaking. An initial eruption occurred, during which this group may have taken shelter. About 1" of muddy ash was deposited. 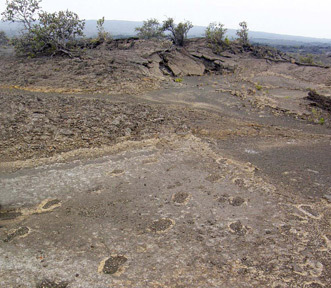 The survivors of that phase of the eruption walked around on wet ash, leaving the footprints. Meanwhile, warriors and their families were camped out at the summit waiting for the eruption to end, perhaps waiting for 3 days. When they saw the sky clear the started walking southwestward along the west side of the summit area. Unfortunately, the most powerful stage of the eruption then began, sending base surges of hot, wet ash-laden steam at them. Many were killed. Status reports on this eruption can be found at the USGS Hawaii Volcano Observatory website. A webcam here shows the Halemaumau situation, and here shows Puu Oo. Earlier this week (March 4), NASA attempted to launch a new climate monitoring satellite, Glory, into orbit with a Taurus XL booster. 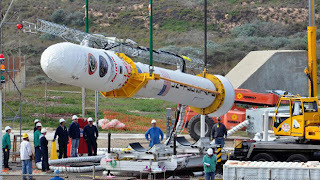 The Taurus XL is about 9 stories tall, and was lanuched from Vandenberg Air Force Base in California. The Glory satellite had cost $424 million to develop and build. 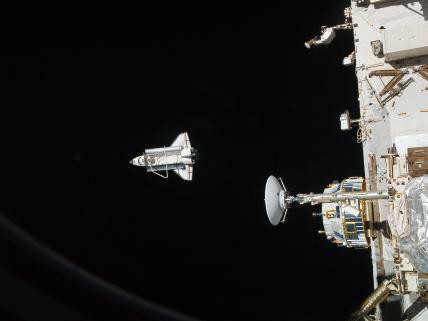 The nosecone cover, visible in the photo to the left, covered the satellite and failed to separate during the trip into orbit. 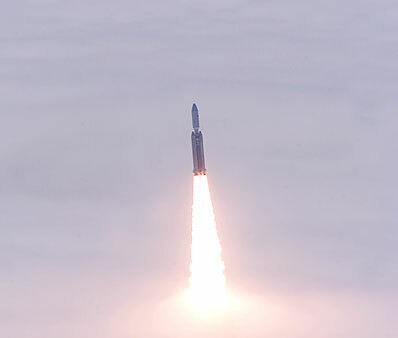 The rocket is believed to have crashed into the southern Pacific Ocean near the Antarctic. This is the second launch failure of a Taurus rocket in two years. In 2009 another climate satellite, the Orbiting Carbon Observatory, also ended up in the south Pacific. 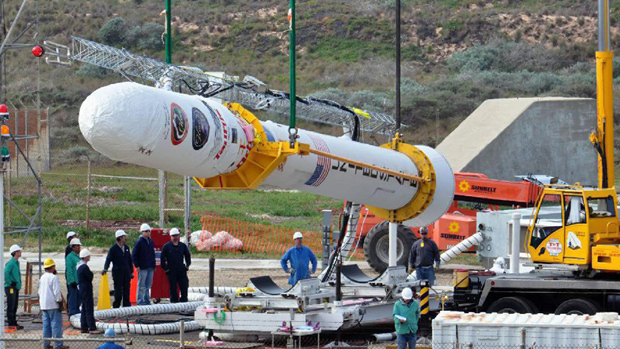 The rocket is built by Orbital Sciences Corp. in Virginia. A video of the launch is about half way down this WWW page. It is worth watching for several reasons, the saddest one being the problem at the end. It has narration, the stage 1 separation comes at about 1:45, and at 2 minutes into the mission, all systems nominal. The tape skips ahead to 5 minutes at 2:40 into the tape and the narrators indicate that the vehicle velocity is not correct and that it is likely that the fairing had not separated. In researching this, I found a site called "Space Launch Report" that appears to track space launches around the world. Rockets work because of Newton's Third Law of Motion. Mass accelerates through the rocket engine and out of the rocket with a certain velocity and at a certain overpressure at the exit plane (overpressure is the difference between the pressure of the gas and local atmospheric pressure). In response, the thrust force is applied to the engine in the opposite direction. A calculation of thrust has two terms: the first is the mass flux times the velocity, and the second is the overpressure times the area. Thrust changes continuously throughout a launch because the mass flux and velocity of the gas change, and because the overpressure changes as the rocket rises higher and higher into thin atmosphere. It is easy to envision the overpressure change by watching the change of shape of the exhaust plume as the rocket rises (as shown on the two images above). Near the surface of the earth, the plume tends to be fairly "straight," whereas it flares out in a very pronounced manner as the rocket rises into the near vacuum of space. You can see this change in plume shape on the video of the Gloria launch referenced above, worth going back for a second look! In my next blog, I'll discuss how this rocket technology is relevant to volcanic eruptions, and particularly, to the eruption of Mount St. Helens in 1980. Audible booms, sometimes very audible, occur at a number of volcanoes around the world. In a previous post, I discussed a variation on this ("flashing arcs") for the "James Bond" volcano, Shinmoedake, and the Matua, Siberia, eruption. Also, more on shock waves here in the context of China's new fighter jet! Here, the photographer captured the source of one such boom, a lava bubble (what is the scale??) bursting from the lava lake at Mount Etna. In text accompanying the photo at the left, the photographer reported that "a loud detonation and a strong shock wave that felt like a punch into the stomach when observed from 300 meters distance, accompanies these bursts. Even at 10 km distance, windows rattle." Audible booms or atmospheric shock waves are produced when something pushes suddenly on the atmosphere. This is most easily illustrated with a one-dimensional experiment called a "shock tube." These were developed to explore the effects of bombs on the atmosphere, but have been widely used to investigate basic science problems such as chemical kinetics, and basic properties of gases as a function of pressure and temperature. Schematic of a shock tube experiment. Source is here; use is permitted for any purpose. A diaphragm, which is usually a piece of aluminum, is placed in the tube. One region of the shock tube is taken up to a high pressure compared to the other region, and then the diaphragm is burst, either mechanically or sometimes with an electric wire. As shown in the upper part of this diagram, a wave, the shock wave, propagates into the low-pressure region. It "carries the message" that the diaphragm has burst into the low pressure region. At the same time, another wave, the expansion fan, propagates into the high-pressure region. It "carries the message" that the diaphragm has burst into the high pressure section of the tube. The interface between the high and low pressure regions is called the "contact surface", and it moves downstream after the diaphragm is burst. Both waves reflect off the ends of the tube, and the flow becomes very complicated after that. The bursting bubble at Mount Etna is a spherical version of a shock tube. In this case, the "diaphragm" was a coating of lava. The motion of the "contact surface" is beautifully visible as the red hot lava fragments! Congratulations to the photographer!